This entry was posted in vizz and tagged beta, vmware, workstation on 07/09/2012 by osde8info. This entry was posted in vizz and tagged vmware on 06/09/2012 by osde8info. Apparently you can run VMware VSphere ESXi inside a VMwareVM ! You need to run VMware Player 4 or VMware Server 2 on the physical host since previous versions can’t succesfully run ESX or ESXi in a VM. VM needs at least 1.5 GB of vmemory, 2 vCPUs and plenty of vSCSI disk space. 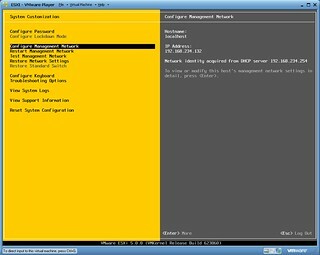 This entry was posted in vizz and tagged esx, esxi, vm in a vm, vmware on 06/09/2012 by osde8info. This entry was posted in vizz and tagged amazon, aws, backup, storage on 06/09/2012 by osde8info. This entry was posted in vizz on 06/09/2012 by osde8info.